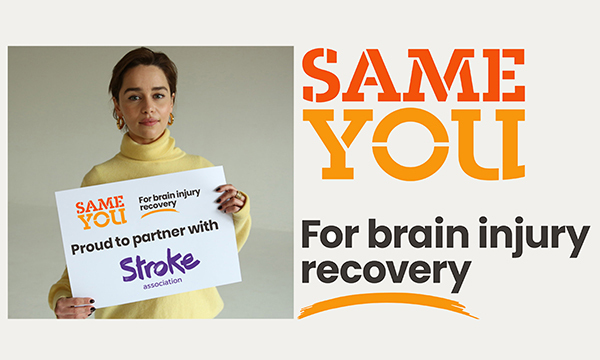 Game of Thrones star Emilia Clarke has launched a charity for young adults who have experienced brain injury and stroke. RCN ambassador Ms Clarke also spoke publicly for the first time about her experience of surviving two brain haemorrhages. The SameYou charity will focus on improving post-surgery care when treatment and recovery resources may be lacking. The RCN is one of the partners for the charity, which will provide grants and advocate for health leaders to improve neurorehabilitation for young adults after brain injury and stroke. ‘I know from personal experience that the impact of brain injury is shattering,’ said Ms Clarke, who also spoke at the RCNi Nurse Awards ceremony in London last July. Her first brain haemorrhage in 2011 was successfully treated through endovascular coiling; for her second in 2013 she underwent a craniotomy and complex brain surgery. 'Recovery is long term, and rehabilitation can be difficult to access,’ she said. Ms Clarke added that the degree to which people could adapt and face the future after neurological trauma was dependent on the provision and quality of rehabilitation care. More than 50 million people a year experience traumatic brain injury worldwide, according to data from the Lancet Neurology Commission, and it is a major cause of disability and death. RCN acting general secretary Dame Donna Kinnair said it was ‘incredibly brave’ of Ms Clarke to speak about her experience, and added that she had been an ‘excellent ambassador’ for the college. The Nursing Now campaign, the Stroke Association and the Spaulding Rehabilitation Hospital in Boston in the United States are also partners for SameYou.